Over the weekend of 13-15 October I took part in yet another of what are now the traditionally extraordinary gatherings around the theme of THE MYTHIC IMAGINATION organized each year in Cattistock, Dorset, by the artist and expert on Phantom Big Cats, Merrily Harpur and her brothers James, the poet, and Patrick, who is a novelist and philosopher of the daimonc realm. The appeal of that astonishingly talented family brought together a group of adventurous seekers from as far afield as the USA to listen to presentations by James Harpur on poetry and inspiration, by Jules Cashford on W.B.Yeats’ understanding of ‘The Great Memory’ and William Blake’s visionary art, and by yours truly on Ted Hughes as shamanic poet. The talks and discussions were punctuated by guided excursions into the sacred landscape of Dorset, and an air of happy conviviality presided over every event. 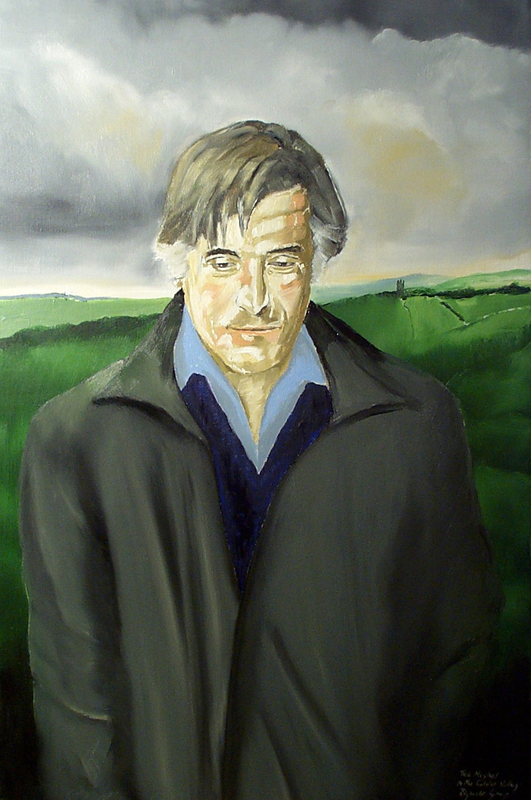 Ted Hughes, by Reginald Gray. And in the Autumne of that year at the fayre bidding of the Lady Merrily de Cattistocke did gather again at the Hall of the Great Pard the noble Companye of the Excellent Order of the Golden Chain. 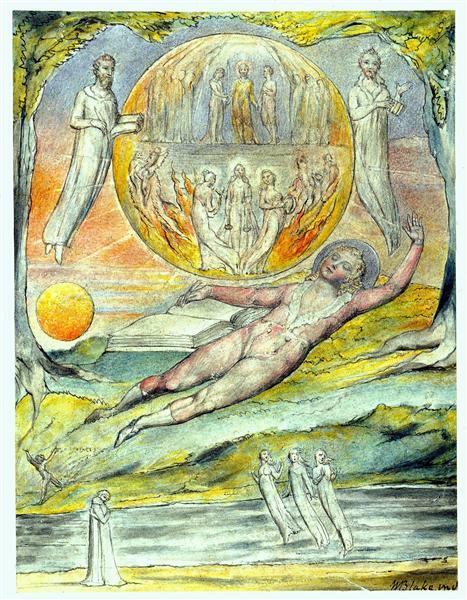 And foremost among them at that time were the Lady Jules of Ilford Grange attended by her bards Gulielmus de Sligo and Blake of Felpham, both of the twain being men of high Vision, and with her Sir James of the Dry Wit who in that age was among the chiefest bards of all Irelaunde, and among them did prance the merry jester Sir Impertinence de Frampton maugre the plaguy malady that beset him at that season. And beckoned also to that fair gathering was the humble clerk Frater Leo of the Northern Waste bearing word of the Enchanter Hugues of Mytholmroyd and his magick beasts. And it is said that the poor clerk feasted to his fill in that noble hall and and departed thence wiser and richer than when he came, though wondering mightily at how that Gentle Companye forthwith vanished at his back, and at the high talk of Noble Mysteries he had heard spoken at that table round. Truly, I thought, we may be assaulted daily by the catalogue of disasters in the news, but we also live in a world of wonders, and we shouldn’t forget it. If you want to learn more about the MYTHIC IMAGINATION events, please call in here.